Bathroom renovation may seem like a large daunting task to tackle, especially if you need to change the layout of your plumbing fixtures. However, by taking into account a few small upgrades, you can solve your bathroom plumbing nightmare without damaging your pocketbook. No matter if you’re revamping the master bath to accommodate a bigger tub or just moving a toilet in your guest bathroom, Art Plumbing, AC & Electric can help you design your dream bathroom, even if it involves moving your plumbing. Placement: Often people do not realize that you can change where your plumbing is located. If you are changing the size of your fixtures, you may also need to make changes to your pipes. Water & Sewer Line Repair & Replacement: One of the main problems home-owners run into during their bathroom upgrade is trouble with their water and sewer lines. Over the years these lines become blocked or cracked due to use and debris. By trusting Art Plumbing, AC & Electric to diagnose and solve line problems, you will prevent future repairs after your upgrade. Plumbing Leaks: Unnoticed and untreated leaks may be found too late and already be causing damage. Prolonging the problem with leaks can also lead to health problems, usually due to the increased chance of mold. With experienced technicians, you can make sure that not only are the leaks diagnosed, but also treated and fixed. Save Water: If you haven’t upgraded your bathroom in some time, the chances are that your fixtures; including your shower head, faucets, and toilet are all increasing your water bill due to excessive water consumption. By upgrading these fixtures to low-flow options available at Art Plumbing, AC & Electric, you get a new look and a lower bill. Necessity: One of the biggest concerns with renovating is thinking you have to design around your current fixtures and plumbing. We can update your plumbing if you’re looking to expand or even put your tub on the opposite wall. Budget: Without a well-planned budget that you stick to, it will be easy to spend much more than you want. One way to keep this in mind is by pricing several options, especially when it comes to smaller details such as sink and bathroom fixtures. Plan: As essential as a reasonable budget is, writing out and maintaining a project plan is crucial. 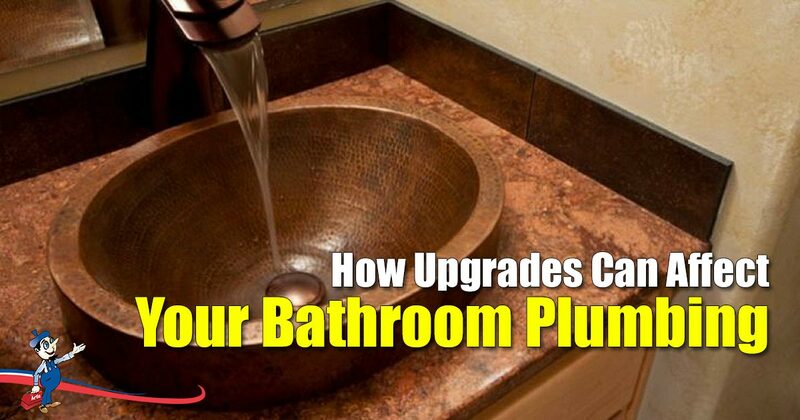 A detailed plan not only allows you to keep an eye on the progress of your upgrades but also considers what changes you may need to make to your plumbing. Leave It To The Professionals: No matter how handy you may consider yourself, any upgrading involving plumbing, especially when accommodating for water main changes, should be left up to professionals, like Art Plumbing, AC & Electric. Art Plumbing, AC & Electric has been serving South Florida for over 35 years – we can help you with every step of your bathroom renovation – from helping with your design to inspection and implementation.